Available on a wide range of new and pre-owned Honda vehicles, Bluetooth® HandsFreeLink® allows you to stay connected while your on the road by hooking your phone up to your vehicle’s infotainment system. 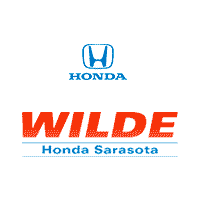 This wireless technology lets you perform a range of different tasks, and you can find it on Honda vehicles at Go Wilde Honda in Sarasota, FL. Bluetooth® is a wireless technology that lets your smartphone wirelessly connect to electronic devices at a short range. HandsFreeLink® is a technology that lets phones with Bluetooth® connect to your infotainment system so that users can interact with their phone without hands. Bluetooth® HandsFreeLink® is standard on a wide range of new Honda vehicles, including popular models like the Honda Civic and Honda CR-V. Most phones on the market today are compatible with Bluetooth® HandsFreeLink® including Android and iOS devices, as well as a range of other Bluetooth® enabled phones, making it easily accessible. Honda makes it easy for your to set up your Bluetooth® in your car. Simply follow a few simple directions based on your Honda model and year. If you still have questions about how it works, feel free to stop into Go Wilde Honda and a member of our helpful and knowledgeable staff will be happy to help you out. Get Connected with Bluetooth® HandsFreeLink® on Your Next Honda! The team at Go Wilde Honda is here to serve all your auto needs, Monday through Saturday, as well as select Sundays. Come see us at 7333 S Tamiami Trail in Sarasota, FL today. If you have questions about Bluetooth® HandsFreeLink® or the new Honda lineup, don’t hesitate to contact us. We hope to see you soon! 0 comment(s) so far on What is Bluetooth® HandsFreeLink®?